Are you confused about the federal income tax rates on capital gains and dividends under the Tax Cuts and Jobs Act (TCJA)? If so, you’re not alone. Here’s what you should know if you plan to sell long-term investments or expect to receive dividend payments from your investments. 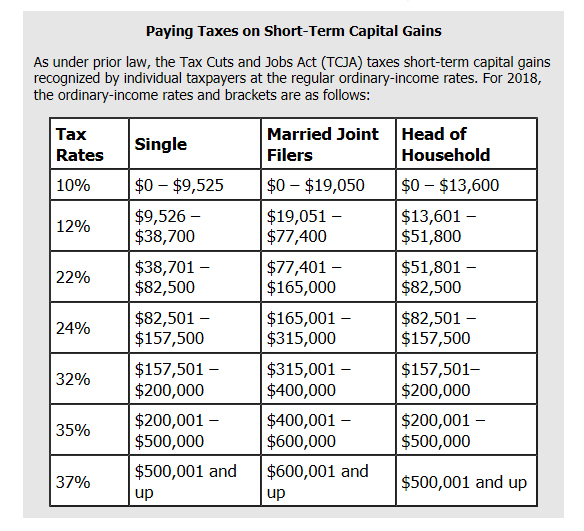 Prior to the TCJA, individual taxpayers faced three federal income tax rates on long-term capital gains and qualified dividends: 0%, 15% and 20%. The rate brackets were tied to the ordinary-income rate brackets. In addition, higher-income individuals with long-term capital gains and dividends were also hit with the 3.8% net investment income tax (NIIT). So, many people actually paid 18.8% (15% + 3.8% for the NIIT) or 23.8% (20% + 3.8% for the NIIT) on their long-term capital gains and dividends. After 2018, these brackets will be indexed for inflation. The new tax law also retains the 3.8% NIIT. So, for 2018 through 2025, the tax rates for higher-income people who recognize long-term capital gains and dividends will actually be 18.8% (15% + 3.8% for the NIIT) or 23.8% (20% + 3.8% for the NIIT). In a nutshell, the new law keeps the same tax rates for long-term capital gains and qualified dividends, but the rate brackets are no longer tied to the ordinary-income tax brackets for individuals. If you have questions or want more information about how long-term capital gains and qualified dividends are taxed under the TCJA, contact your tax advisor.